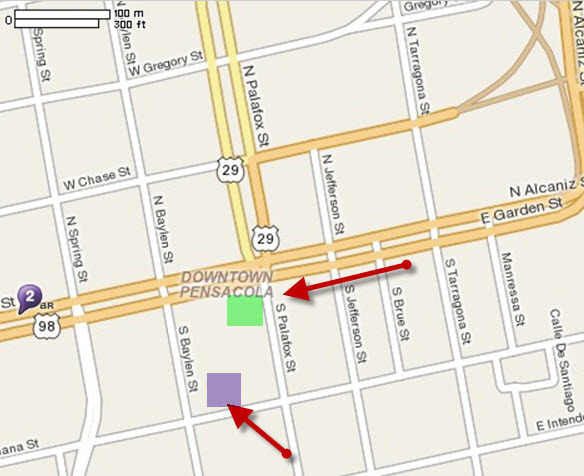 Our office is located in downtown Pensacola in the Blount Bldg at the corner of Palafox and Garden Street in Suite 403. Parking is available 1 block south of Garden St, turn right onto W. Romana Street and our lot is just down on the Right with an electronic gate. Ask our office for a free parking token. Our Parking Lot is shown in Purple, our building is shown in Green.